Experience magnificent Northwest Coast masks as they come to life in the glimmering firelight of a Kwakwaka’wakw ceremonial house. The Lelooska Family shares the songs, dances, stories, and masks which display the rights, crests, and privileges bestowed on them by the late Chief James Aul Sewide. 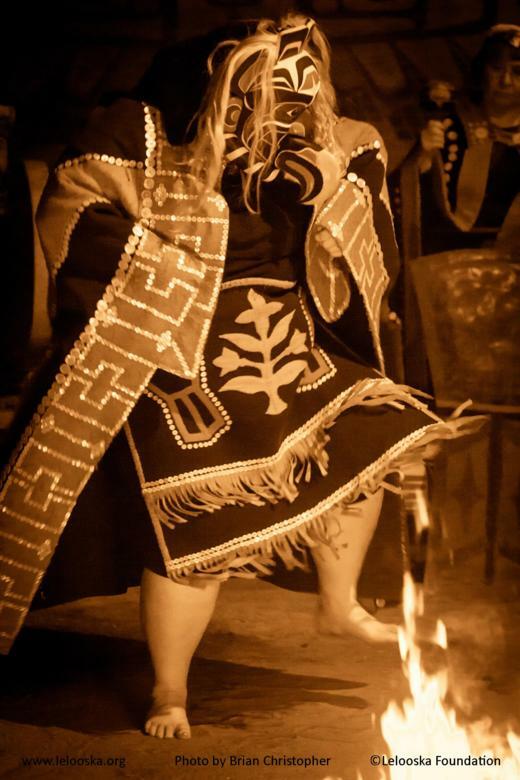 Chief Tsungani carries on the traditions of his brother, the late Chief Lelooska, performing with other family members in Ariel, Washington, 31 miles northeast of Portland, Oregon.